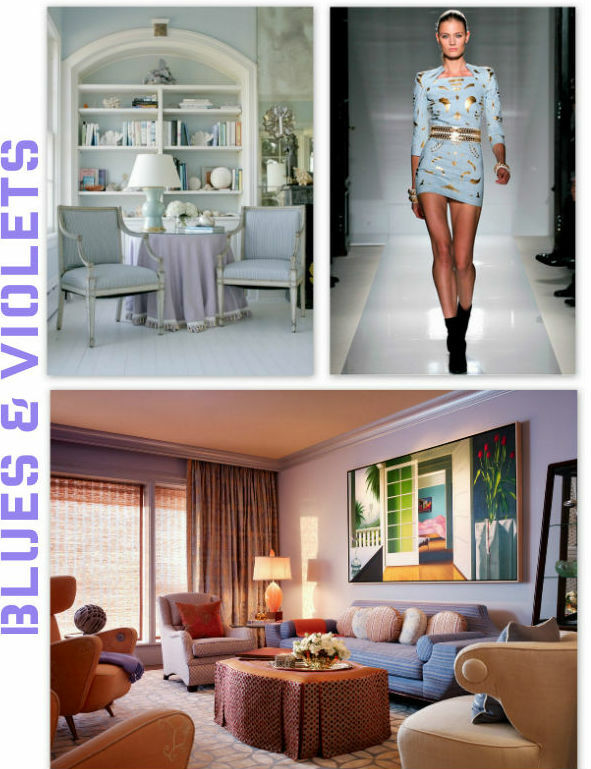 Pastels were all over the runway for spring, but can they work as well in the home? Whether drenched in cool baby blues or punchy peaches, these spaces take sorbet shades out of the nursery and into the realm of sophisticated design. ooh i especially love the yellow LV outfit/room comparison! so springy! 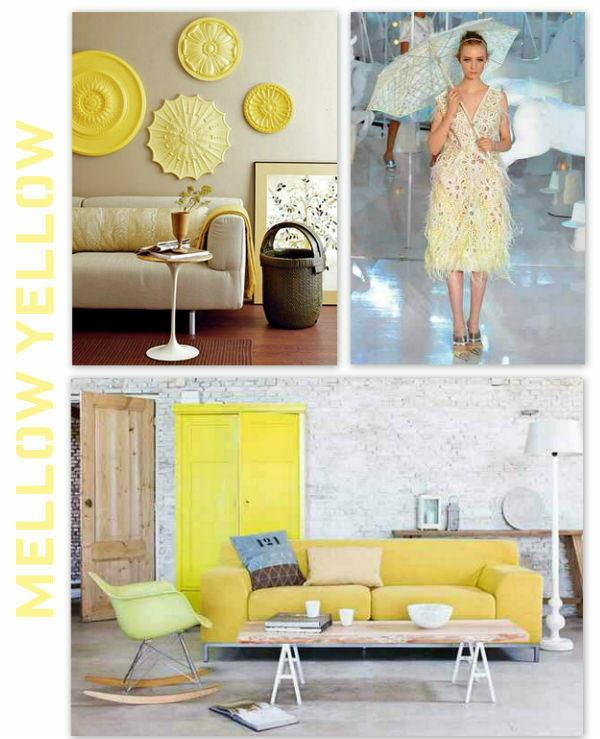 I absolutely adore the mellow yellow hues... 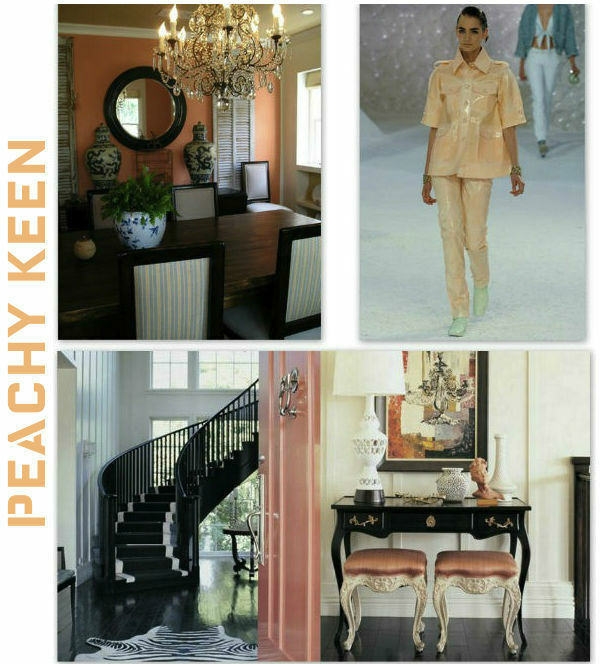 I love the idea that of fashion and interiors working together to create a stunning space in the home. - Just wondering, have there been any US equivalent to the stamps I posted about? Hope you have a fab rest of the week! great post! i have trouble even believing that the greens in that sonoma house are real and not altered with photoshop! and while this wasn't the point of your post, the painting in the pacific heights home is fabulous! lovely colorful post! all different yet very unique in their own way! I love pastels in design! I'd love to have a house AND a closet of pastels. I love that yellow decor! I love those minty colors!! !